Unfortunately, we are not (yet) able to influence the light conditions for targeting or wind direction – instead we are providing you, thanks to the HuntersMapp, with all relevant weather parameters for the perfect hunt – any time of the day or night. In addition to the general weather information this function also provides a 5-day forecast. Furthermore, the weather forecast* for the next 6 hours is constantly updated. You have the choice: actual or desired position? 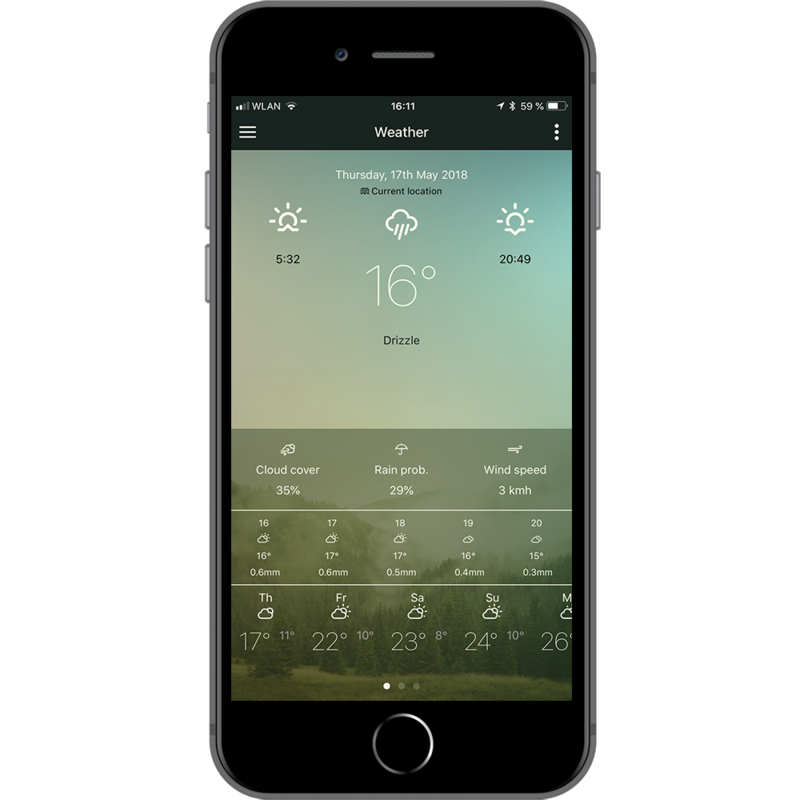 When querying the weather data, your actual position can automatically be processed, or else you can choose any desired position by selecting the country and entering the corresponding postal code. *Weather forecast with temperature, rain probability, precipitation, wind direction and wind speed.